1. Take your fan and turn it completly one way. then take your paper clip and attach it to the most outer edge mine was on the right of the picture. then add a very long peice of thread to the clip. 2. Now add an eye hook above the area the head will be. Now take the thread and run it through the eye hook. and to that end attach a safety pin. 3. Now take your Head and paint it with UV paint. Now center your head in the middle of 1 yard of fabric. you can take the other yards and Layer them on top. 4. 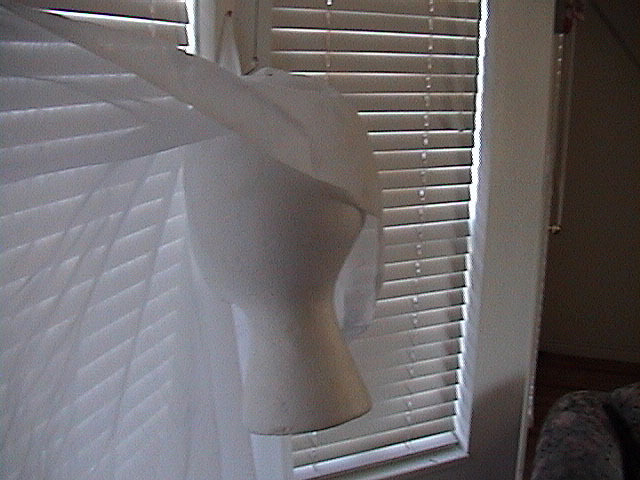 With your safety pin insert it in to the top of the head at an angle. 5. Pin the back 2 corners up to each side of where you are putting it These will be the arms. 6. Add a Black Light at the very bottom of the ghost. Now turn on the black light and the fan make sure it is in the oscillating possition. 7. 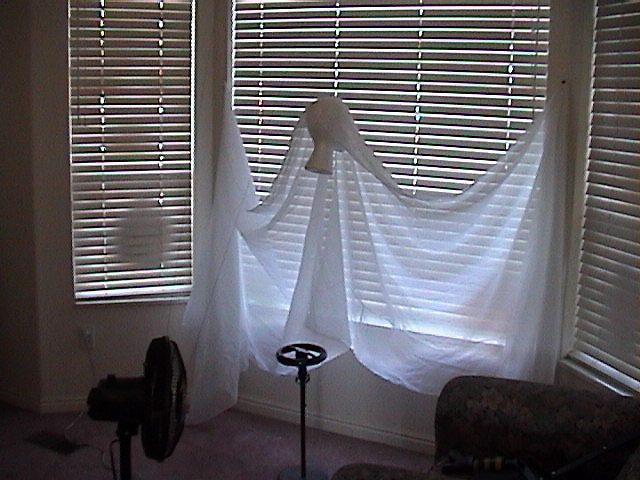 If you want the head higher or lower move the fan closer or further to the ghost. 8. Turn off all the lights and enjoy. A view from the back and side. 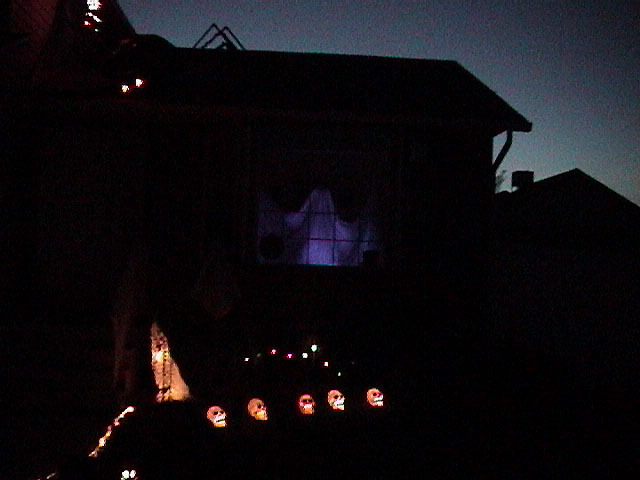 You can see the styrofoam head we placed under a thin white sheet, then placed a black light directly behind it, then a fan to make the ghostly sheet flutter. The head is attached to the mechanism that moves the ghost around in the window.